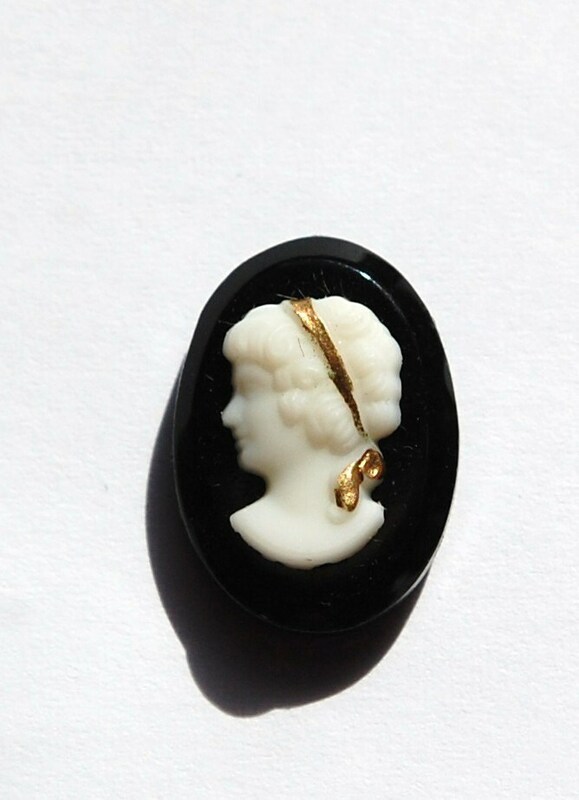 This is a vintage black glass cabochon with a white glass cameo. She has a gold ribbon in her hair. This measures 18x13mm. You will receive one piece. Close but not an exact duplicate - doesn’t look like the friend I had in mind. Absolutely - great quality on everything!! !